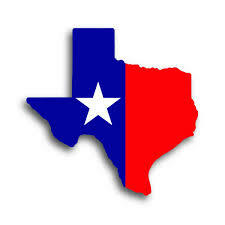 Each month a new educational topic is available for Texas ESRD patients. May’s topic is “Learn About Patient’s Responsibilities“. These materials can be located on the Network 14 website by CLICKING HERE. It is also available in Spanish by CLICKING HERE. Please feel free to print these out and post them in your center or ask the staff member to do that. As this is a frequently discussed topic by both patients and staff, it’s handy to have some idea of what Patient Responsibilities are in a dialysis center. Perhaps the greatest responsibility is to Ask Questions! You may not get the answer the first time, so ask again if you need to. Your questions are important. Don’t accept a flippant answer. When I was new, I asked why the machine was alarming. I was told, “It’s you.” That answer gave me no information at all! Don’t accept an answer like that. Ask again or ask another person. This entry was posted in activism, CKD, dialysis, Home dialysis, kidney, New Patient, patient care, Patient Responsibilities, Patient-Centered Care and tagged devontexas, dialysis, hemodialysis, kidney, patient, patient care, patient responsibilities, patient-centered care, treatment. Bookmark the permalink.